These are happy times for Final Fantasy fans who own a PSP. Besides the already vast catalog with gems like Crisis Core, Final Fantasy Anniversary editions, Dissidia titles, and the upcoming Final Fantasy Type-0, now one of the big classics arrived to Sony’s handheld. The ‘big classic’ we’re speaking of is Final Fantasy IV, one of the most acclaimed games of the saga together with Final Fantasy VI and VII. You might be wondering if it was really necessary to re-release this game, after having been out for SNES, PSOne, Gameboy Advance, Nintendo DS, Wii, and who know what else we might be forgetting. Well, it depends on you, really, and what you are looking for, but some features make this the best Final Fantasy IV version released up to this date. The game, after flirting with 3d (but not really) in the Nintendo DS, went back to 2D but received a complete remaster in HD which works beautifully. Forget about the tall building and disproportionate scenarios of the early versions, this looks way more like Final Fantasy I&II for the PSP. In the process, the voice acting from the DS version was lost, but it’s a fair trade-off, considering how awkward it’d be to have 2D sprites talking. What remains, though, is the beautiful cut scenes that opened and closed the game, now expanded to widescreen and HD. And just like Final Fantasy I&II (based on their GBA counterpart but with better graphics), this version also includes the extras from the Advance releases. That’s right, you can visit the Cave of Trials and Lunar Ruins if you’re up for a challenge, as well as check the full bestiary and enjoy the music of the game on its own. Also, guess what? 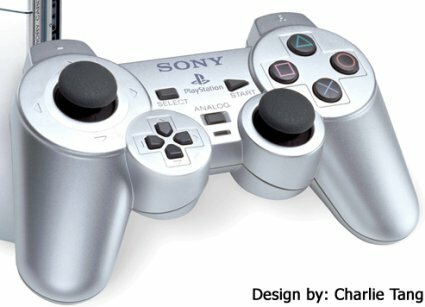 As opposed to the Gameboy Advance release, the control is not broken, and doesn’t lag. Yes, the game now works like it’s intended. Finally! It's not only the sprites that have been updated. The spells have been totally reanimated and look better than ever, affecting the lights and background too. But this is called “Complete Collection” for a reason. 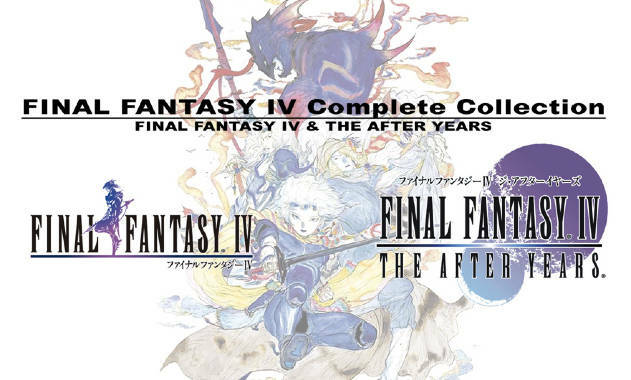 Final Fantasy IV is not the only thing the player gets: this package includes the continuation “Final Fantasy IV: The After Years”, which had been released in Japan for cellphones and worldwide for Wii, marking this its first release for a Sony console. 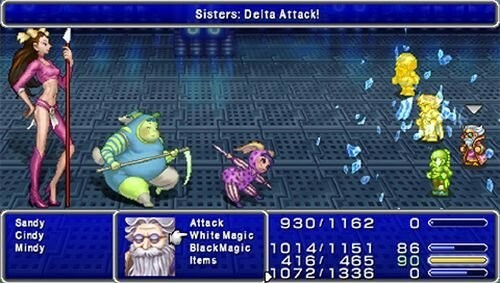 This version includes all of the same extras as FFIV (bestiary, music, gallery), a new superboss not included in any previous versions and some fixes in the difficulty, particularly in the very last dungeon. Now its a fair challenge, and if you get slaughtered in battle, it will be because of poor playing, and not broken and unfair mechanics nor ridiculous difficulty. This sequel is not only a cheap cash-in. 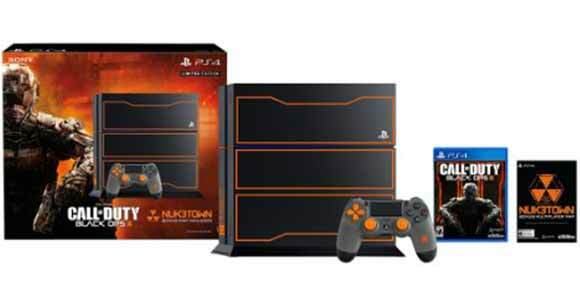 It’s an entirely new game on its own, with its own storyline, new characters and mechanics. The After Years combines the play style of Final Fantasy IV with the ‘techs’ from Chrono Trigger. That means, you can combine the characters’ abilities in order to do more powerful attacks. For example, if Kain and Rosa combine White Magic and Jump, Kain will do a special jump that also casts holy. Techs can mix up to 5 characters at the same time, meaning, your whole party can collaborate in a single attack. Nice. Cecil and Rosa combine attacks like two good lovers. Aaaaw. Also, exclusive to this version, is an entirely new episode entitled “interlude”, which takes place between FF4 and TAY. Square Enix had mentioned that this episode would take around 15 hours to finish, but that’s hardly true, as the interlude is pretty short, and probably won’t take most players more than 5-6 hours. 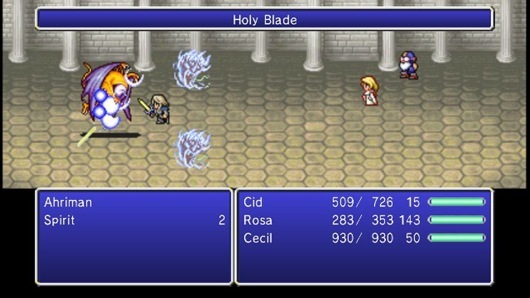 In this new, exclusive episode, the player will gain control of Cecil and most of the original party, with the same mechanics as FF4 (that means there are no ‘bands’ in this scenario). All in all, this is a very complete package, including pretty much every extra of every version, except voice acting and the exclusive content of the NDS. If you didn’t already like FF4, this edition will probably not change your mind, but if you have been a fan all along, or are yet to discover the huge, engrossing tale of Cecil and friends, this is the definitive version of the adventure, the complete package that this classic really deserves. It is like you understand my thoughts! You gaze to recognize so much around that, as you composed the actual book there something like that. I believe that you recently can do with a bit of % to electricity what it’s all about house a little bit, however other than that, this can be exceptional blog. A fantastic go through. I’ll certainly rear.